Waxbills and Red Bishop birds are companions on my jog around Juba3. Seeing Alison’s great photo of waxbills I decided to do a painting. 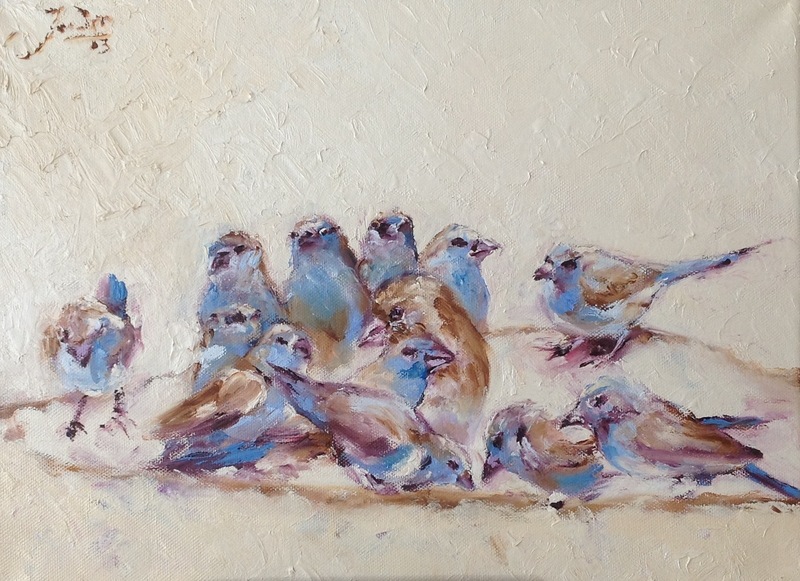 Not that I have ever painted birds before! After a massive fight, with feathers everywhere, a painting asserted itself.